What's The Cheapest Way to Send Money to Pakistan? Do you have to send money to Pakistan? Wondering about the available services and how much they’re going to cost you? Even if you’re not aware, there are numerous great possibilities to choose among. PayPal is a convenient way for many countries but using the online payment system to receive money in Pakistan is not the best approach. The following tables present alternative methods to send money to Pakistan, including how much every single service is going to cost you. The tables list upfront and hidden fees, making it a lot easier for you to choose. The hidden currency conversion fee is based on our calculation against inter-bank rates. Since that fee is not usually declared and may vary, it’s hard to calculate them with 100% accuracy. If you’re not sure what we mean by the “hidden currency conversion cost”, please refer to our explanation in this article. The Western Union fees above are for their public website/service. Western Union also has a corporate transfer service with different rates for companies that have a large volume of transactions. The fees for Western Union and other transfer methods are based on the lowest cost method for transferring your funds to Western Union, which means bank transfer (not paying via credit card). Any fees that are zero may simply be introductory fees which will increase the second or third time you use the service. The fees for wire transfers are estimates and vary greatly from bank to bank. If you send more than $1000 through Xoom then there will be zero fees, so it means Xoom will charge only hidden fees. Table 2 – Sending money to Pakistan from various countries. The percentages above include both the company’s stated fees and our calculated hidden conversion cost. Rates for Azimo are based on checking prices on their website. They state that the fee for a transfer is 1 pound and their currency rates are very good, close to inter-bank rates. I’m not sure how they can deliver the transfer at such a cheap rate, or if there are other fees not declared on the website. Minimum transfer of $500/£500 for OFX/CanadianForex/UKForex. WorldRemit – Has an option to send small amounts of money to load the recipient’s mobile phone account in Pakistan. Xpress Money – Offers a service that transfers money from several countries to Pakistan but their fee calculator was not working, so I did not include them in the tables above. Xoom service has serious issues. Beware Not working and long delays. Its been 10 days 1 transaction to Pakistan is on hold and the other got cancelled even it was sent without any problem in same account 11 months ago. Are there service provider changed??? Hello, excellent article. I am trying to receive a payment from the UK via transfer wise. How does this work here? Do you have an idea about it? I recommend Payoneer because this method is available in almost all countries and they and till I have received money using Payoneer on the date when I transferred money to my local bank account or we can withdraw using Payoneer ATM card also. About a month back sent money to Pakistan through WorldRemit.com. Excellent service. The amount credited to payee bank account in 2 business days and confirmation email received promptly. Being first time sender the fee of about $10 waived. Their exchange rate was also good compared to others. They also give referral bonus voucher. I think Western union is best option. you get the money same day in cheap inter bank rate. I used Skrill and its reliable but costly. Hi..i need to know how to send money from India to Pakistan at low fee. TransferWise is very good option. 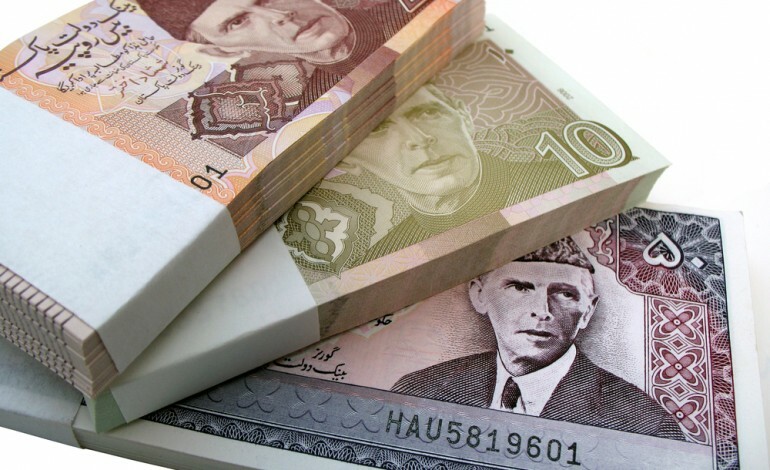 if the people you're sending the money to in pakistan have a bank account, eg with National Bank of Pakistan or Metropolitan Bank Pakitan, etc, you can deposit the money from a bank in the US/Canada. You just need the bank and address details of the people you're sending it to. It's much much cheaper than Western Union too. USForex is now charging $5 for below 5000 dollar transaction. Western Union has a quick service. Hi Rob, I am looking to transfer money from India to a friend in Lahore, Pakistan. The article here discusses transfer rates from various parts of the world to Pakistan, but none at all from India to Pakistan. I'm a little lost here and would really appreciate it if you could provide any information on the best possible way to transfer money from India to Pakistan without incurring high charges. It won't be a sum higher than 50000 INR. Thanks in advance. Hi Aaradhya,The only services that allow direct transfer and conversion from INR to PKR are Western Union and Moneygram through pickup from their agent locations.There might be other cheaper options that we have not researched yet also. I personally like transferwise. They have always been the cheapest for me. I often send money to india and get my money check <a href="http://www.compareremit.com/" rel="nofollow">Compare remit </a> and Transferwise are always the cheapest. Now i needed to send money to pakistan again i used transferwise. They have <a href="https://transferwise.com/send-money/send-money-to-pakistan" rel="nofollow"> this page here with all the details for it. How can one send money from Pakistan to united state? Hi,The options listed in this article works both ways. Just a bit of research and you'll find your answer. As an example, if you want to use Ria Money Transfer (1st option), checking this link https://www.riamoneytransfer.com/ria-locator will give you outlets available within your vicinity. For example, if you're in Islamabad there are 109 outlets for Ria. Is Zoom.com reliable and trustworthy? I'd like to use their service but I am anxious. Hi, I recently sent money to Pakistan via Azimo to a bank account. Very smooth service and easy online ID verification. I have a special promotion code which you can use which will give you your first transfer FREE. This applies to new accounts only. So if you qualify use the promo code "moraja" and it should work. Hope you like it. Can you tell me more about RIA? I know that they are planning on doing free transactions during Ramadan and Eid. Is this for real? Is it possible to get a PayPal debit card in Pakistan? How does this work as I did not think it was possible to use PayPal in Pakistan?I think you're right about these being the quickest methods but not necessarily about being the cheapest. Nice article Rob, I prefer western union or money gram, it's fast and secure. Do check out UBL Tezraftaar service. Some of our clients (especially Australians and UAE) use it to transfer funds easily and in just minutes..without heavy transfer costs. That's great. Are you able to provide the exact fees that are charged and an example currency exchange rate for a specific date? If you can do it by hand it's a reasonable method but it costs a lot of money for the flight if you're flying from the US to Pakistan for example! Very good and informative article. Thanks for doing in depth analysis. Hi Ali, Payoneer is another option that we use. WE haven't included it in the article as the currency fees are a bit hard to calculate. what about withdrawing money from elance,odesk and freelancer.com , any idea how much they charge i.e hidden fee and stated fee for $1000 ? oDesk charges 10% and on top of the 10% are any other currency transfer fees. Freelancer.com the fees vary depending on the level but also it's going to be usually 10% or more. If you use the local transfer method on oDesk they charge an additional $4.95 per transfer PLUS the hidden exchange fees, which I believe are at least 2.5%. So if you transfer $500 for example the total fee would be at least 13.5%So in any case if you use oDesk or Freelancer.com it's going to cost a lot more.We actually have a lot of people using Time Doctor instead of oDesk for their team to save the 10%.